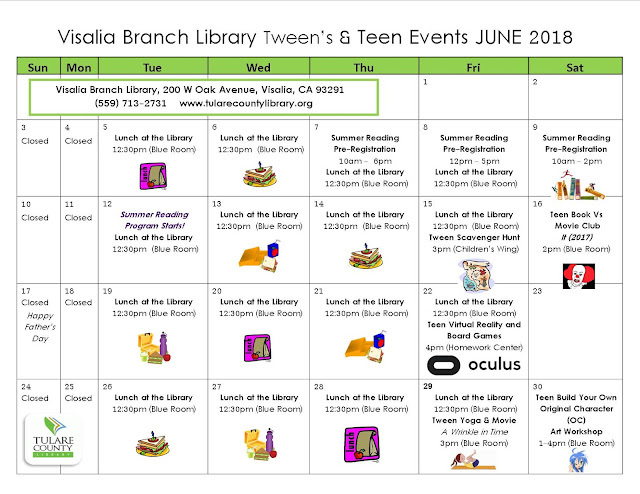 There's something for all teens at the Visalia Branch Library! 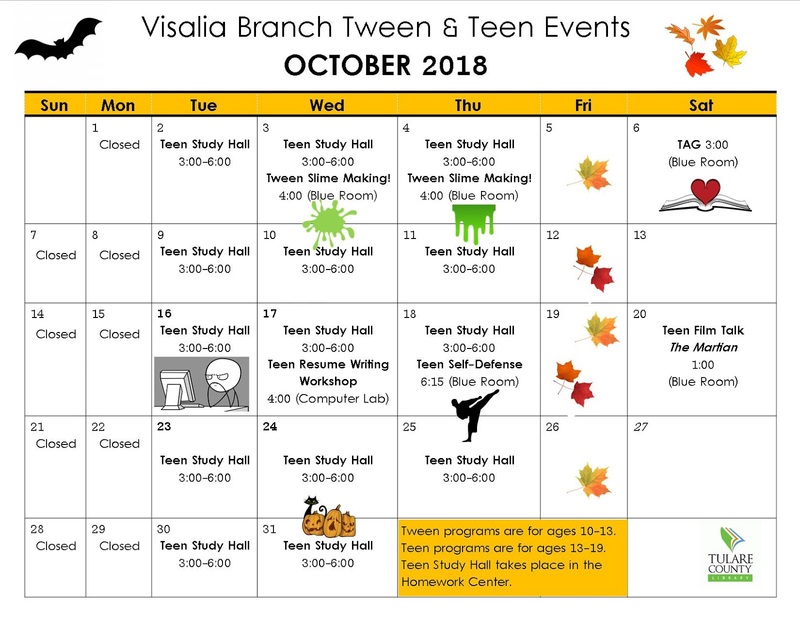 Volunteers have a monthly get together for Teen Advisory Group, high school students have a quiet study space in the Homework Center with access to free printing and laptops for homework, plus free wifi! 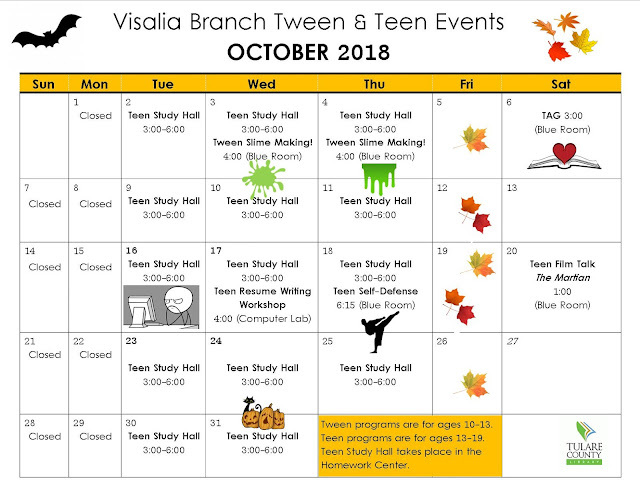 Job seeking teens can attend a free resume writing workshop, and all teens can learn an essential life skill--self-defense! 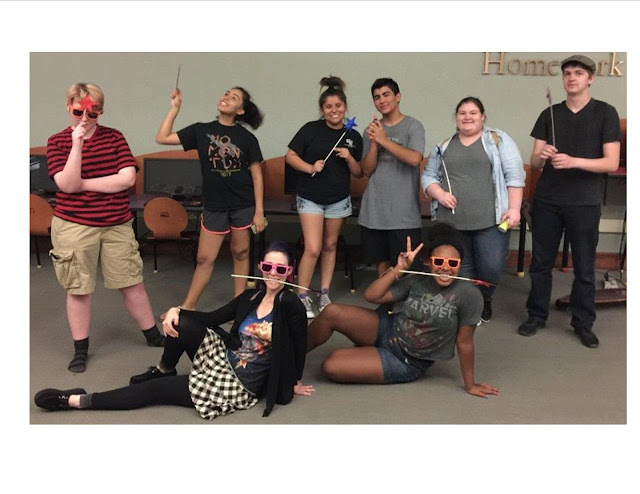 All this plus a ginormous and diverse array of books for teens! All our awesome programs are sponsored by the Friends of the Tulare County Library. 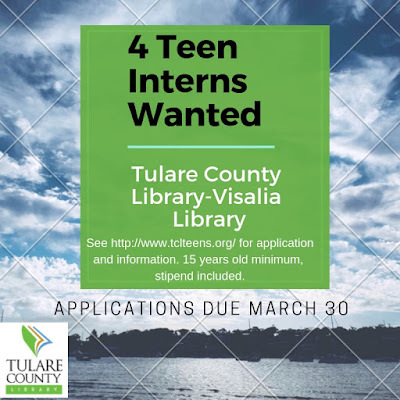 Email the Teen Librarian, Carrie at carrie.wilson@tularecountylibrary.org!